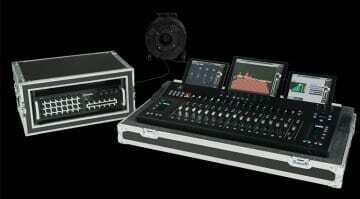 Mackie has introduced a pair of new products in its DL Series of digital wireless live sound mixers. These are the 16-channel DL16S and 32-channel DL32S. 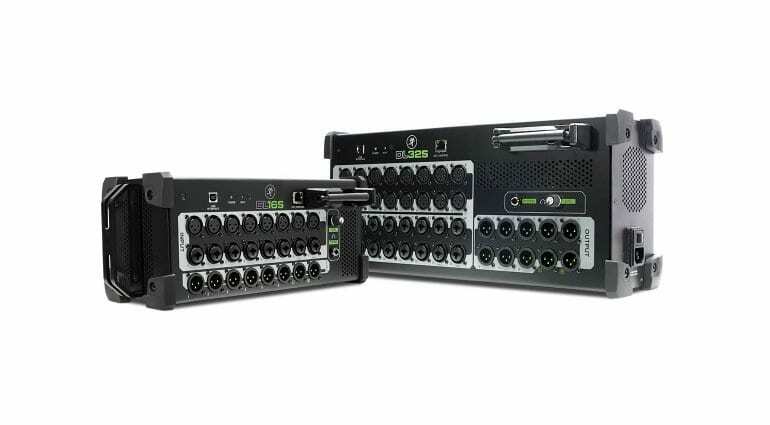 With a rack-compatible design Mackie describes as “rugged”, these are intended for stage and live use. The mixers have built-in Wi-Fi networking and can be remote controlled via Mackie’s Master Fader control app. 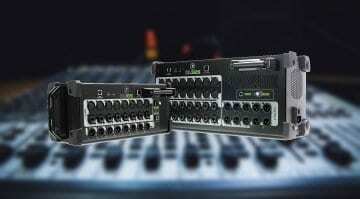 As expected, the mixers use Mackie Onyx+ mic preamps. DSP effects are available on each input and output via the four built-in FX slots. Also notable is the mixers’ ability to make multi-track recordings over USB. They can be played back into each channel for a virtual sound check as well. The mixers’ stagebox is made of steel, rubber corners, and a sturdy handle. Networking-wise, the mixers can create their own Wi-Fi network or connect to a router/network switch over Cat5E/Cat6 Ethernet cables. The digital effects include 4-band PEQ + HPF, gate, compression, limiting, alignment delay, spectrograph, reverbs, delays, choruses, flangers, and others. All effects have dedicated sends and returns. 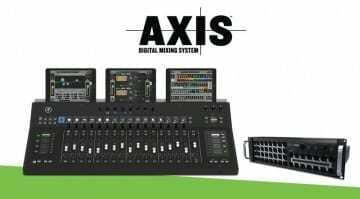 All in all, the DL16S and 32S seem like respectable live mixing and studio recording tools that offer plenty of flexibility and a full processing suite. We think the prices are right, too, although these are definitely meant to connect to a computer or tablet. Some engineers may prefer to go computer-less, in which case they will probably pass on Mackie’s offer. The mixers will be available worldwide in the Fall, priced USD 1000 for the DL16S and USD 1820 for the DL32S. 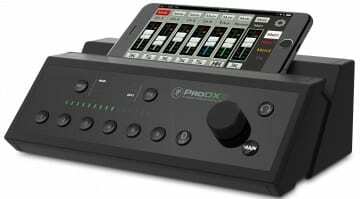 Master Fader 5.0, the upcoming new version of Mackie’s control app, will be released at the same time on Android, along with the new DSP FX suite and a refreshed user interface. It will hit Mac and PC with the eventual release of MF 5.1.